GNU Radio Conference is a yearly conference based around the GNU Radio project and the surrounding community. 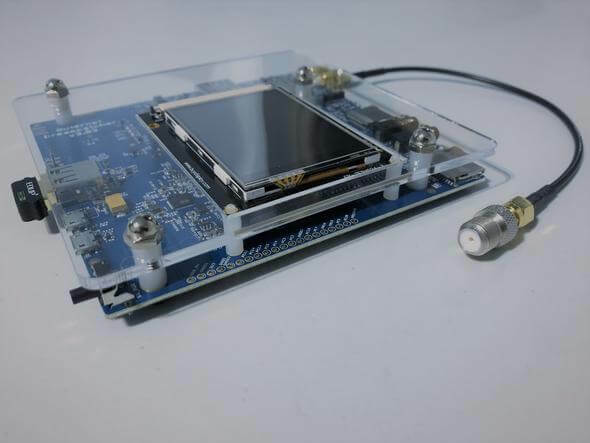 GNU Radio is an open source digital signal processing (DSP) toolkit which is often used to implement decoders, demodulators and various other SDR algorithms. GRCon is the annual conference for the GNU Radio project & community, and has established itself as one of the premier industry events for Software Radio. It is a week-long conference that includes high-quality technical content and valuable networking opportunities. GRCon is a venue that highlights design, implementation, and theory that has been practically applied in a useful way. GRCon attendees come from a large variety of backgrounds, including industry, academia, government, and hobbyists. 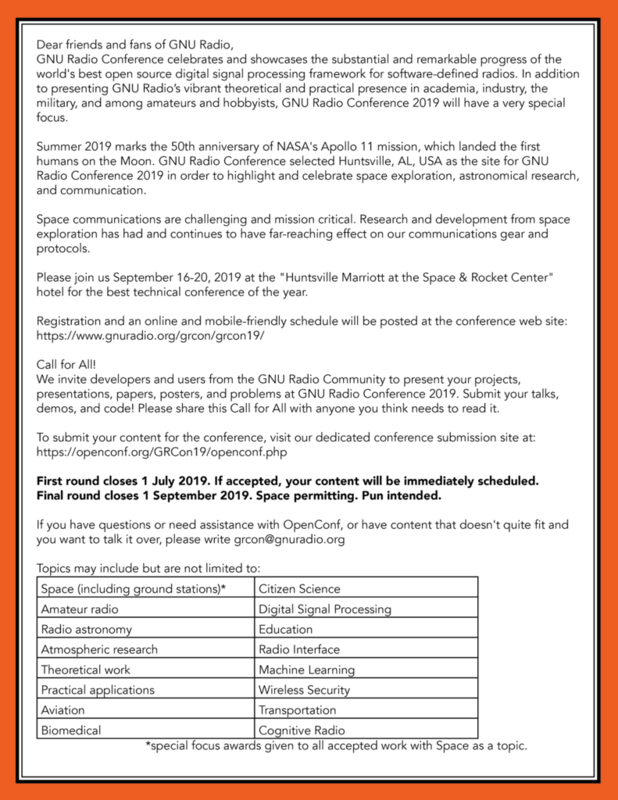 The 2019 GNU Radio Conference will be held on September 16-20 at the Marriot at the Space & Rocket Center in Huntsville, Alabama. Registration and a call for papers and posters is currently open, see gnuradio.org/grcon/grcon19. SignalsEverywhere Podcast EP1: Es’hail-2, Favorite RTL-SDR Blog Posts and What SDR Should I Get? Corrosive from the SignalsEverywhere YouTube channel is starting up a radio/SDR related podcast, and today has released episode one. 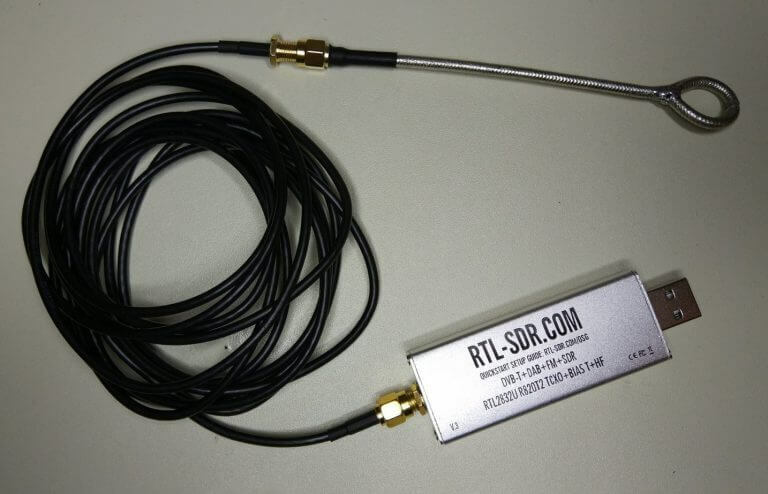 The podcast is 22 minutes long, and in that time he discusses Es-hail-2, a geosynchronous satellite with an amateur radio transponder that was recently launched and activated, some of his favorite recent posts from our blog here at RTL-SDR.com, including posts about a 3D printed V-Dipole holder, Radwave RF Analyzer, cloning 433 MHz devices, and finally he ends the podcast by discussing the question of what SDR is right for you. 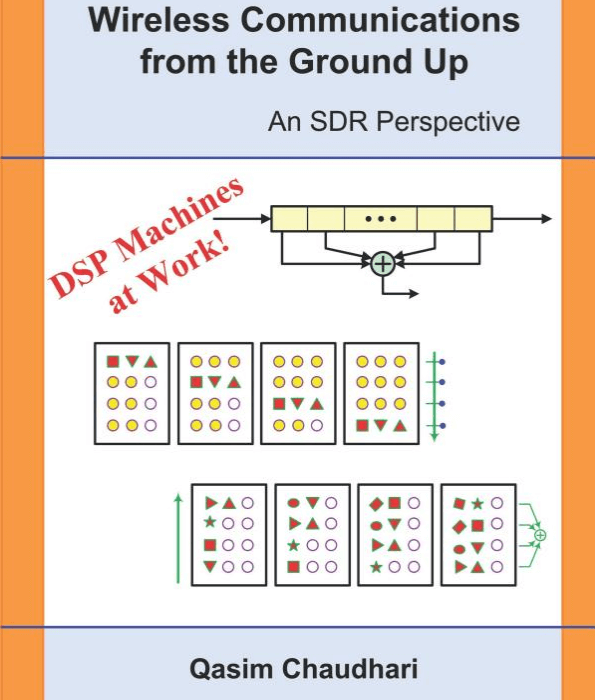 Podcasts are a great way to catch up on what's happening in the SDR and radio world so check it out below or over on the SignalsEverywhere podcast post.